The Jewish Partisan Memorial at Yad Vashem Holocaust memorial in Jerusalem honors the 6 million european Jews that were murdered by the german fascist regime during the Holocaust between 1941 and 1945. The 6 surrounding blocks create the Star of David. The sharp object in the center represents the people that fought & died during that horrible time. Astroeographic position for morphogenetic field level 4 which describes the atmosphere and energetical topics of the sculpture itself: one coordinate lies higly alert fire sign Aries sign of fighting, warfare, ignition, waking, speed, action and most important indicator for german culture. The pointed erect needle in the center is symptomatic of the position in fire sign Aries. Compare my article: Astrology and architecture: characteristic features of Aries. The combination of these two signs describes the intention of the memorial as to remind the people to be always alert and awake in the face of german and alltogther of human hatred, cruelity, racism and fascism. 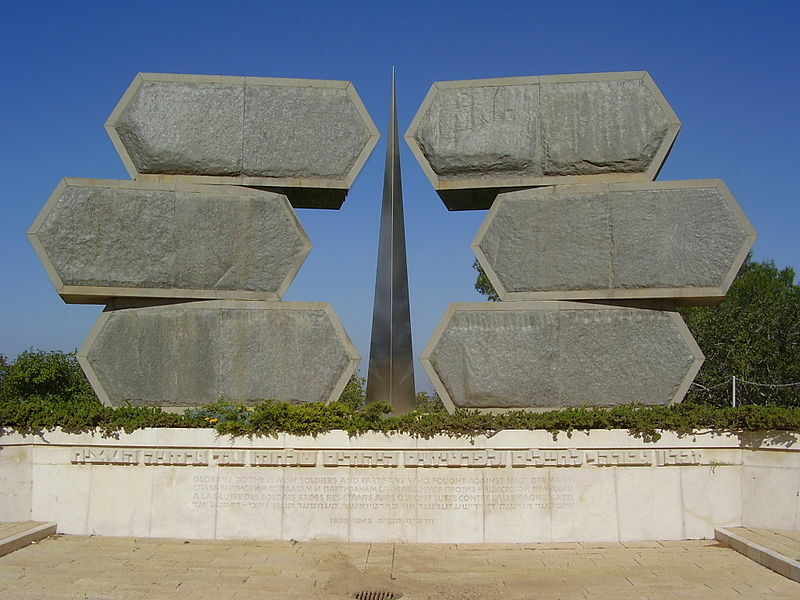 Yad Vashem (Hebrew: יָד וַשֵׁם‬; literally, “a monument and a name”) is Israel‘s official memorial to the victims of the Holocaust. It is dedicated to preserving the memory of the dead; honouring Jews who fought against their Nazi oppressors and Gentiles who selflessly aided Jews in need; and researching the phenomenon of the Holocaust in particular and genocide in general, with the aim of avoiding such events in the future. 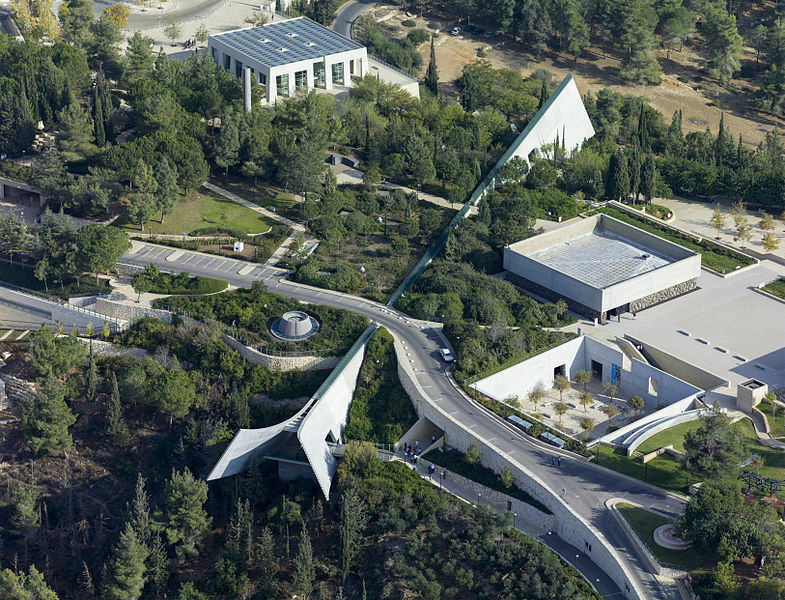 Aerial view of the Yad Vashem memorial located in Pisces with Aquarius photo: Andrew Shiva / Wikipedia / CC BY-SA 4. Yad Vashem Holocaust Museum in Jerusalem was built from 1953 and first opened in 1957.
one coordinate is located in mystic, spiritual water sign Pisces sign of the sea, the spiritual plane, temples, music, art, the invisible, the individual and common unconscious and outer space. 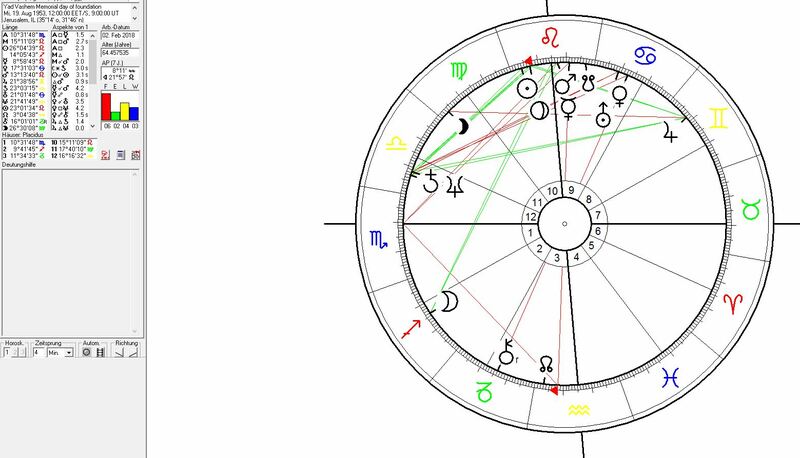 The 2nd coordinate lies in creative, innovative, spiritual air sign Aquarius sign of the sky, heaven, paradise, abstraction, self-finding, reconnection, liberation, rebellion and revolution. This combination of the two highest stuctural elements in the systemical zodiac represents an extraterrestrial constellation and stands for topics of spiritual liberation and the essence of things rather than earthly matters. The quality of Pisces at places is a sign and dimension that a place can serve to help reconnect with the highest or higher aspects of the spiritual plane. Pisces reppresent spirituality itself. It relates to those aspects of religion that are beyond creeds and religions. Pisces is also present at the Temple Mount, which suggests the resonance of the Yad Vashem site with the Temple Mount. Astrogeographically Aquarius as a resonating factor of the City and region of Jersualem (Aquarius-Aries) stands for the intense resonance with the capital topic of the Jerusalem region and also with its association with intensely innovative, revolutionary and rather abstract perspectives on culture and religion. The date of the foundation of Yad Vashem fell into the time of the Saturn-Neptune conjunction constellation of victims, the suppression of minorities and refugees and their deepest depression in Libra the sign of angels. This astrological constellation describes the full impact of the tragical emotion dealt with by the Holocaust Memorial. The intense conjunctions of the Sun with Pluto and Mercury with Mars in Leo the sign of the Sun, light, life, self-expression, the heart and revitalization stands for the courage to fully present the depression, horror, pain and the unbelievable injustice and evil of the Holocaust to the visitors and the world.